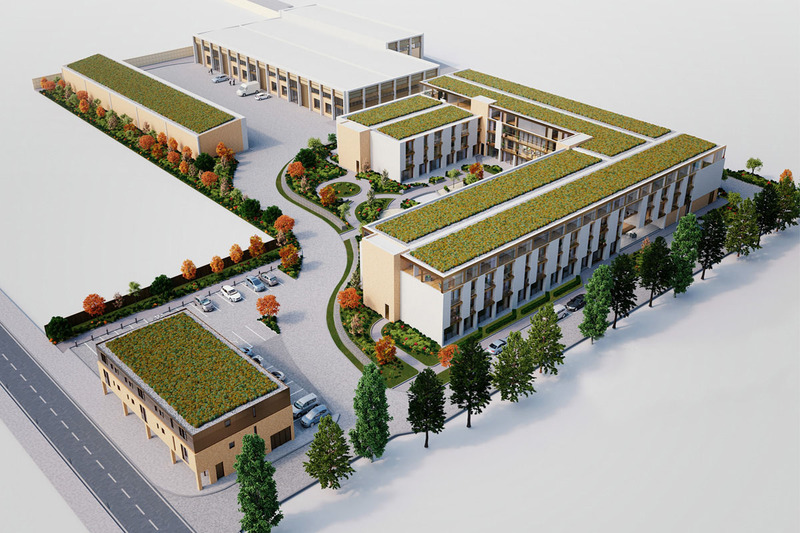 The proposals for the vacant brownfield site consist of 4 separate buildings, with building uses varying from light industrial and business use to a care home, extra care and residential accommodation. 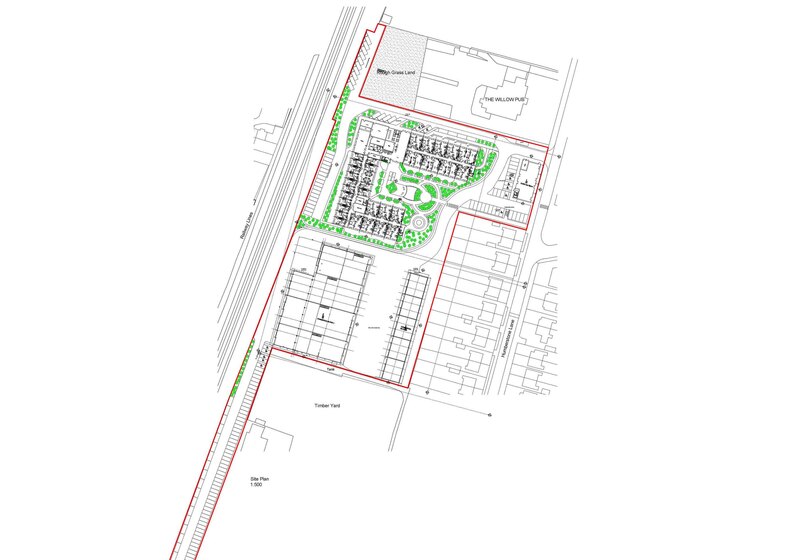 These proposed uses will “stitch” together the varied neighbouring uses in a coherent and successful manner whilst providing community facilities and employment. The appearance of the buildings is derived from local vernacular studies, modern methods of construction and passive solar design. 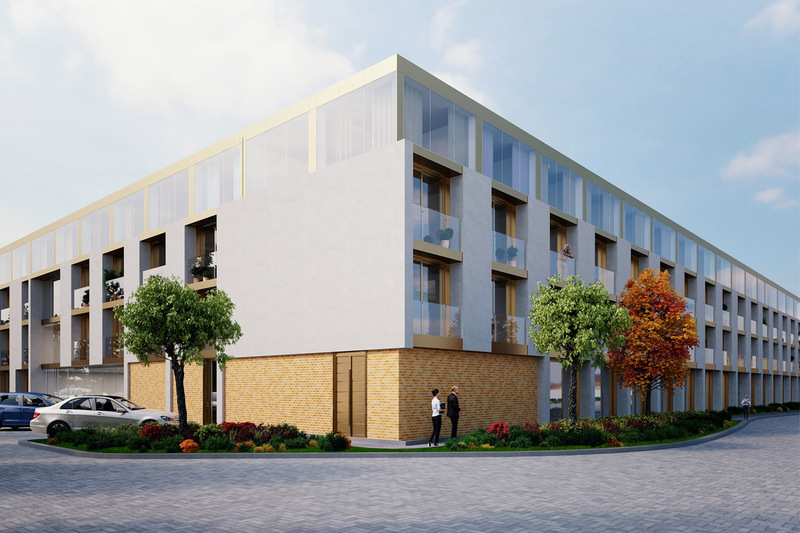 The proposals reflect the use of brick, light coloured stone and aluminium cladding. Passive solar shading to the care facilities is achieved through stone or masonry fins and projections that shade glass and create private amenity gardens at ground level. 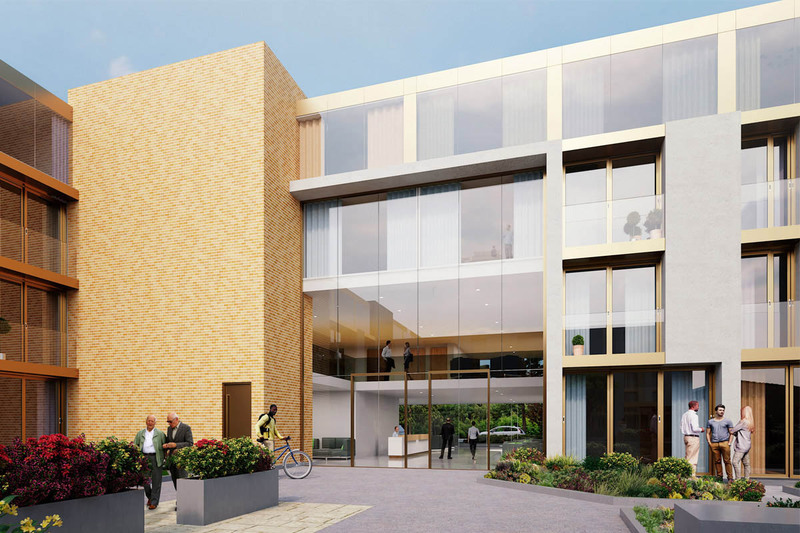 The central business block is predominantly glass affording links to both the care areas of the site. The facades are animated by aluminium vertical fins that give solar protection to the expanses of glass. 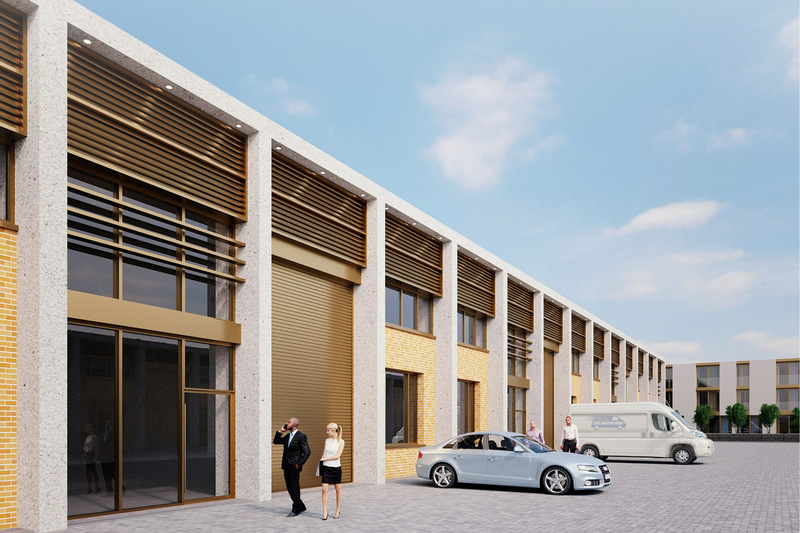 The proposal for the existing building is to over clad with a stone framework to reflect the existing steel frame beyond. This building will retain existing brick cladding, but have all windows and roller shutters replaced. The aluminium cladding steps away from the whites and light grey tones seen around the site and utilises a bronze finish to give a more natural hue which is less glaring in the landscape. Furthermore, the bronze finish adds to the feel of modern high quality development sought by the developer. 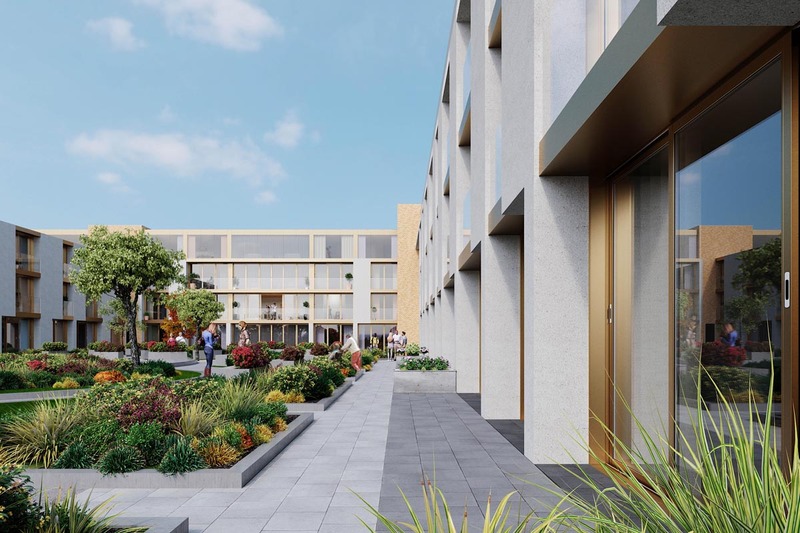 There is a mix of hard and soft landscaping across the site which not only provides private amenity space for occupants but also sufficient boundary cover. 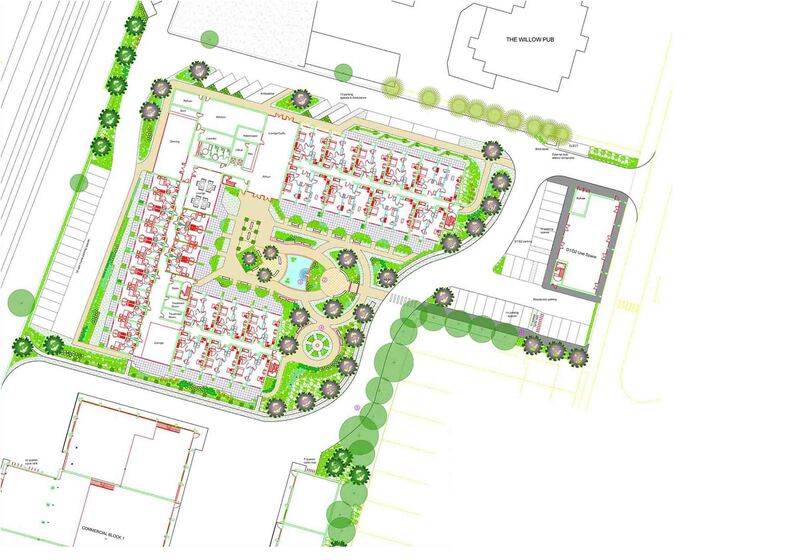 Tree planting surrounds the vehicular access road to the North with car parking and private amenity bordering it to the South. This screens the development thus facilitating privacy, reducing noise and enhancing ecology.